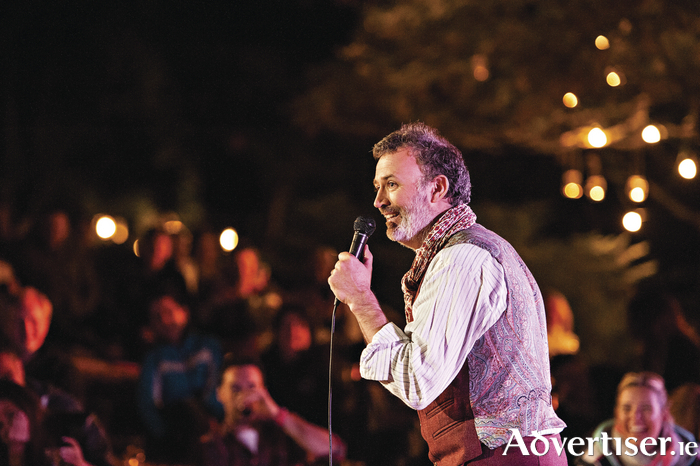 TOMMY TIERNAN has added three extra dates to his new Under The Influence tour. Two of those shows will be at the Seapoint Ballroom in Salthill, taking place on Wednesday December 21 and Thursday 22. As if receiving instructions from a strange and distant star, Tommy Tiernan takes to the stage refusing to take anything seriously. The political and the personal are all up for grabs as the only goal of the evening is laughter. Let our struggles be mocked and our cares abandoned by a man The Guardian accurately defined as, "a wide eyed philosopher of love and life who performs as if appalled by the idea of being bland". Tiernan Entertainment_Culture Tommy Tiernan www.ticketmaster.ie The Guardian Seapoint Ballroom www.tommytiernan.com.